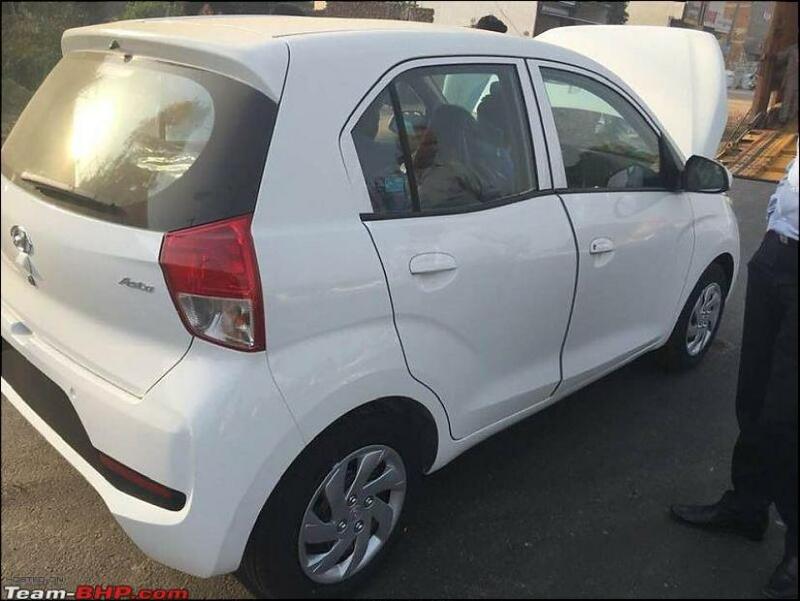 New Hyundai Santro seen in these images is the top-end Asta trim and this is the first time we see the car in this Polar White shade. The car is slated to be launched on October 23. 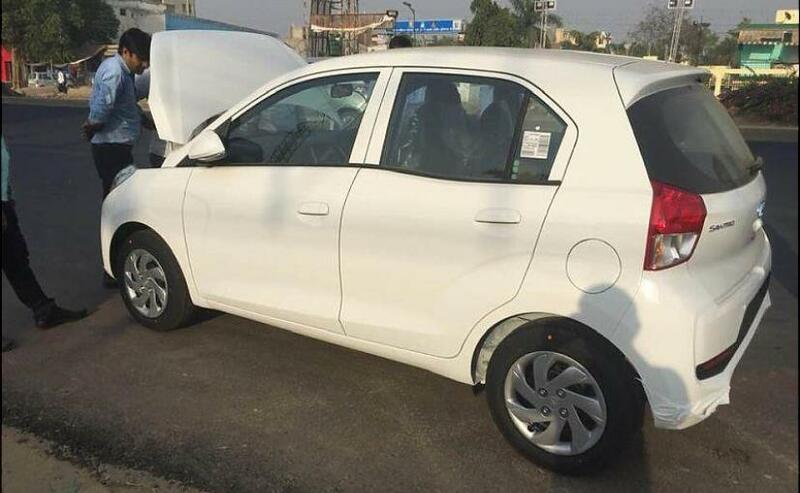 The soon-to-be-launched Hyundai Santro has been spotted testing in India ahead of launch. The car in these new images is the top-end Asta variant, and this time around we finally get to see the car inside out. 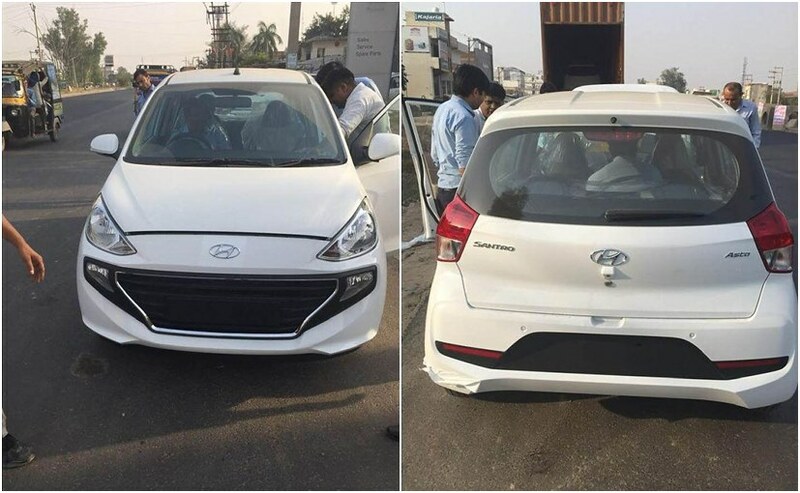 While Hyundai had released a couple of images of the car, while unveiling the car, this is the first time that we get to see the rear portion of the upcoming tallboy hatchback, that too in this Polar White shade. The car is slated to be launched in India on October 23, and bookings for the car have commenced online. Upon its launch, it will rival the likes of the Renault Kwid, Tata Tiago, and Maruti Suzuki Alto. The profile of the car reveals some subtle character lines just above the wheel arches with body-coloured door handles and mirrors. The wheels, of course, are regular steel wheels with hubcaps, which indicate, there are no alloys on offer. The rear, on the other hand, takes some cues from the Grand i10. We see a similar wide stance with the Hyundai logo at the centre and the 'Santro' and 'Asta' on either side. The rear bumper also features a large black styling element with reflectors on either end. The cabin is not new to us as we have seen it in a bunch of spy images earlier. In fact, we shared some exclusive interior images of the special green colour Asta trim which comes with green styling elements. 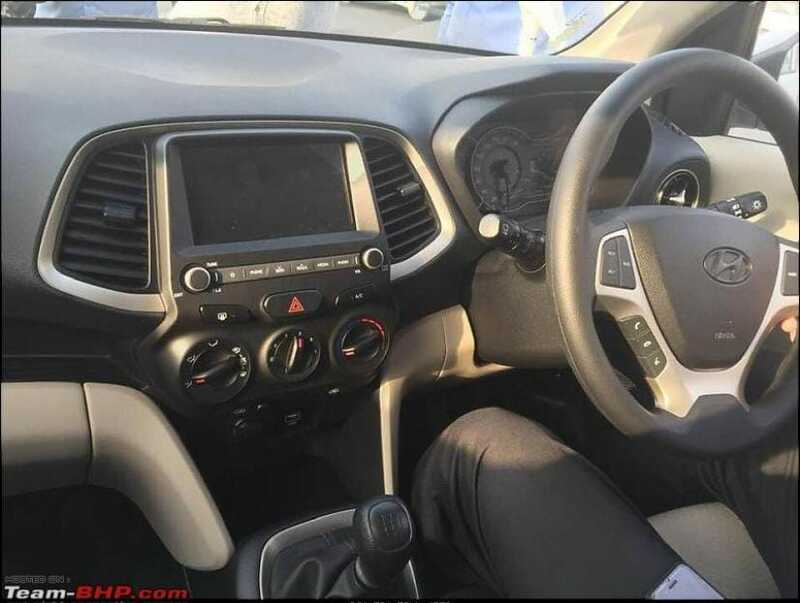 This one, however, gets the regular dual tone black and grey treatment, mainly displaying the large 7-inch touchscreen infotainment system which is equipped with smartphone connectivity and supports Apple Car Play and Android Auto. On either side, we have larger aircon vents with a bunch of buttons and knobs positioned below of in-car controls. The steering wheel also gets the dual tone treatment with mounted controls for telephony, audio, and more.